There are people who are late on their mortgages, and then there's Paul Stenstrom. The Palm Harbor man hasn't paid a cent on his home since 2002, back when gas cost $1.61 a gallon, Saddam Hussein ruled Iraq and Kelly Clarkson was the first American Idol. Now, 12 years later, the world has moved on. Stenstrom has not. As of this week, he and his family were still in the house even as a bank pressed ahead with efforts to evict them. Stenstrom, 62, has benefited from a federal law that automatically stops all actions by creditors, including banks trying to foreclose, when a person declares bankruptcy. Between 2002 and last year, Stenstrom and his wife filed a total of 18 bankruptcy petitions to keep their house from being sold at public auction. Bankruptcy officials have a term for people like the Stenstroms: serial filers. 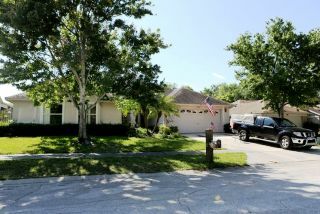 Paul Stenstrom’s home in Palm Harbor. The Justice Department doesn't keep statistics on serial filers, but "someone with more than four cases, that would be unusual,'' Williamson says. Tampa Bay judges say they can't remember many other local homeowners who have fended off foreclosure for more than a few years, let alone 12. The Pinellas-Pasco court system has sections in each county that deal exclusively with foreclosures "to move them along,'' says Chief Judge J. Thomas McGrady. But there's not much they can do when a delinquent homeowner heads to bankruptcy court. "It's very frustrating,'' McGrady says. In 2001, the Stenstroms paid $206,000 for a home in an attractive, deed-restricted community in North Pinellas. Their $185,000 mortgage had what Stenstrom calls an "obscene'' interest rate of 11.45 percent, much higher than the average at the time. In less than a year Stenstrom stopped making the $1,836 monthly payment and filed his first bankruptcy petition. A judge dismissed the case when Stenstrom failed to submit some of the required documents. 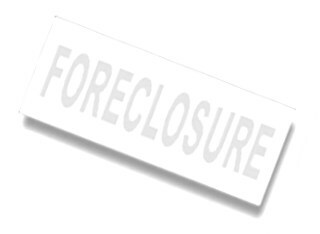 In 2003, the lender, U.S. Bank, obtained a final judgment of foreclosure and the house was set for sale. Stenstrom filed his second bankruptcy petition a few weeks before the sale date. Over the next several years, the bank, Stenstrom and the bankruptcy court settled into a routine. The bank would get a sale date. Stenstrom would declare bankruptcy, halting the sale. A bankruptcy judge would then dismiss Stenstrom's case because he had not submitted everything he was supposed to. Stenstrom's petitions, filled out by hand, had a certain sameness, too. All were filed under Chapter 13, in which the debtor agrees to repay creditors under a court-approved plan. Each petition listed the same asset, the Palm Harbor house, and the same liabilities, $38,000 in child support owed in Texas and a mortgage that ballooned to $414,600 with late fees. The only thing that varied was the employment Stenstrom put down. He said he worked in "media sales'' in 2006, made architectural trim in 2008 and was a "business consultant'' in 2009. After Stenstrom filed four petitions in 2010, all missing required information, a bankruptcy judge pushed back. He issued an order on Jan. 25, 2011, that barred him from filing any more petitions for two years. Still, the bank failed to take ownership of the home. The ban had been lifted less than a month when on Feb. 2, 2013, Stenstrom filed petition No. 13. That was quickly dismissed, also for "failure to file information,'' but he filed again in August 2013, shortly before the house was scheduled for sale. The judge granted the motion, accused Stenstrom of "abusing the bankruptcy process'' and banned him from filing before 2015. That didn't stop his wife. On Nov. 18, a day before the house was yet again due to be auctioned, Sharon Stenstrom declared bankruptcy and urged a Pinellas judge to block the sale. But because Sharon Stenstrom's petition involved the same property as her husband's, the ban against any new filings held, the sale went through and U.S. Bank finally bought back the 2,300-square-foot house. The bank's attorney issued a written demand Feb. 27 that the Stenstroms move out but "the occupants have refused,'' according to a motion filed March 25 seeking a writ of possession. When a Tampa Bay Times reporter stopped by this week, one of Stenstrom's daughters and two young men were loading a few pieces of furniture onto a pickup. The house, an American flag flapping outside, still appeared crowded with belongings, including planks of laminate flooring stacked in the foyer. The white-haired Stenstrom, whose debts now include $46,000 owed to the IRS, said he was moving to Tarpon Springs but wouldn't say exactly where or when. He gave a litany of reasons for not paying the mortgage in 12 years — a slump in the economy after the 9/11 attacks, a stroke in 2006, the recession in 2008, a "not very good person'' on the homeowners association board. He also blamed the Times for mentioning him in a 2010 story about delinquent homeowners. That may have cost him a job selling Mercedes cars, he said. Though vague on what he is doing now, Stenstrom said he has "income enough'' that he offered to buy the house from the bank. Why would he want to stay? "This is a home. I have every intention of paying every nickel.'' Stenstrom then excused himself, hurrying out to cover the bed of the pickup as rain began to fall. Petition No. 4 , May 2006 — Works in media sales; owes $36,609 in child support in Texas, $287,000 on mortgage, $6,000 to IRS. Petition No. 5, December 2006 — Self -employed in architectural trim manufacturing; owes $326,000 on mortgage, $38,000 in child support. Petition No. 7, August 2009 — Self-employed business consultant; owes $188,571 on mortgage, $42,000 in child support. Petitions No. 9, 10, 11, 12 — All filed in 2010. Three dismissed for failure to file required information; one dismissed for abusing bankruptcy system. Stenstrom banned in 2011 from refiling for two years. A bankruptcy filing stays on your credit report for up to 10 years and can drive up interest rates on credit cards. It can be very hard to get a mortgage for two or more years after a bankruptcy filing. Most people can get only high-interest, low-dollar loans following bankruptcy. It can be hard to get a job. Many employers now do credit checks in addition to criminal background checks.